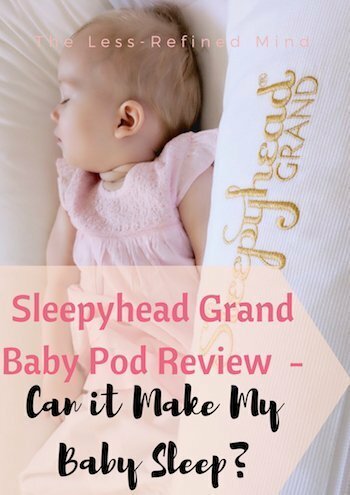 Grand Sleepyhead Baby Pod Review - Will It Make My Baby Sleep?! 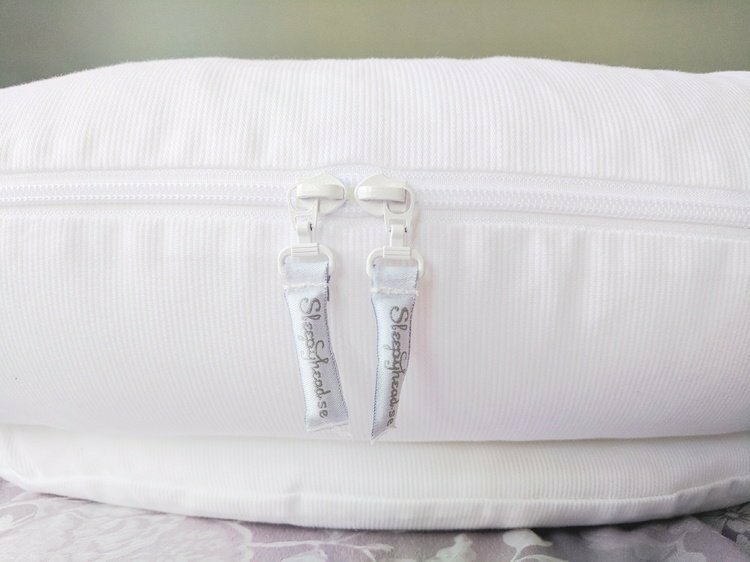 Sleepyhead Grand Baby Pod Review – Will It Make My Baby Sleep?! They say you should never work with children or animals. Well, this past couple of weeks I found out why. 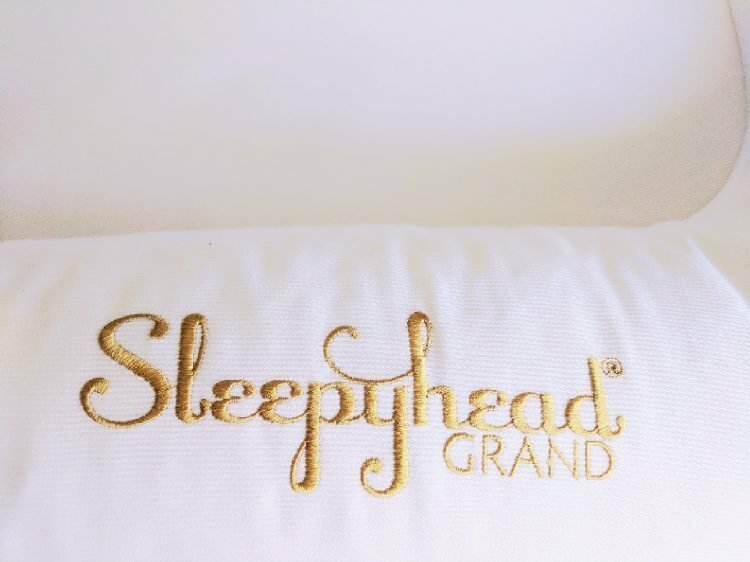 I was recently sent the Grand Sleepyhead to review, which I was very excited about because Elfin is still a pain in the bum and we mostly co-sleep at the moment. Which essentially means I frequently wake up with her feet in my back or her fists in my face. I’d read some Sleepyhead reviews and I knew the Grand baby pod should eliminate all of these issues whilst also keeping her safe, and – hopefully – cosy, ie. asleep. If the Sleepyhead reviews I’d read were to be believed, our lives were about to greatly improve. Unfortunately at around the time the product arrived, Elfin was very poorly. As I write it’s the first day in literally weeks that she’s well – thank goodness because I’ve been at the End. Of. My. Rope. I usually try to turn reviews around within a couple of weeks of receiving the item, only this time I had a problem: no way was Elfin going in that pod. For the past two weeks, she’s basically slept sporadically but very, very little – and only ever in my or her dad’s arms. What on earth was I going to doooooo? 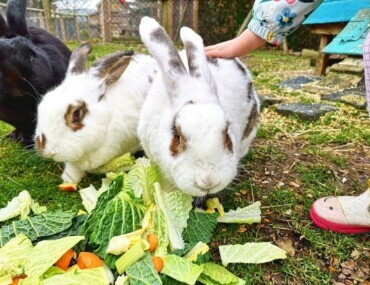 They have their own – very stubborn – little minds, right from the get go! Clingy/stubborn babies aside, the Sleepyhead is fab. It’s a high quality multi-functional stage two pod, and I wanted one for Elfin to facilitate co-sleeping safely and comfortably. I actually didn’t plan (or want) to co-sleep, for the sake of my marriage. However, desperation saw me very quickly go back on that. I had previously thought Pixie was a nightmare sleeper – but with the benefit of hindsight, although she wasn’t ‘good’, I’d take her schedule over her sister’s Every. Single. Time. 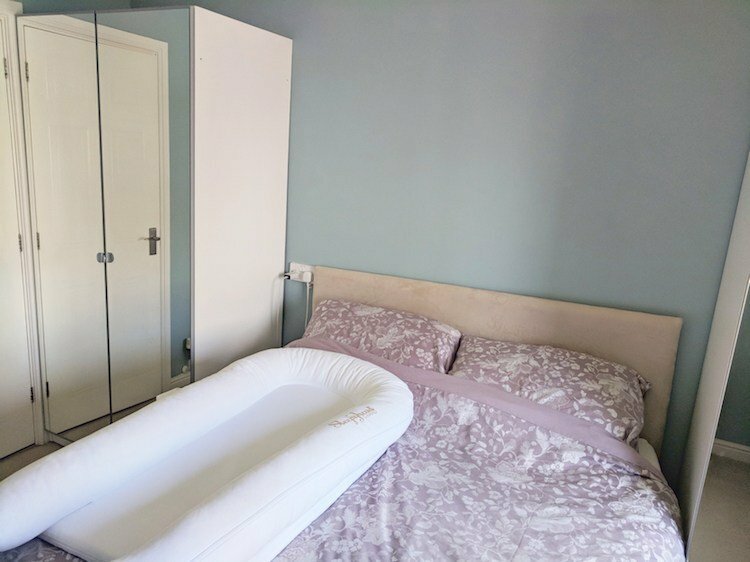 The pod is a single piece, meaning that baby is cocooned – but without the hazard of pillows or bumpers, etc; and the base is springy and super cosy, not at all too thin or hard. Basically, if they made one for adults, I totally would. The covers feature handles to assist with portability, and are removable for easy cleaning. You can also buy additional covers in beautiful designs, should you be so inclined (I like this one). All materials are breathable, non-toxic, hypoallergenic, and offer excellent air-permeability for maximum comfort and hygiene. The pod comes in two stages: Deluxe for 0 – 8 months, and Grand, for 9 – 36 months. This means you can use if from birth right through to transitioning into a toddler bed. Is the Grand Sleepyhead Baby Pod Good Value? At £205 if it does what you need it to do, then without question it’s fantastic value. It’s essentially a portable baby bed with multiple uses. I don’t think that’s a lot of money to pay – if it works for your family. 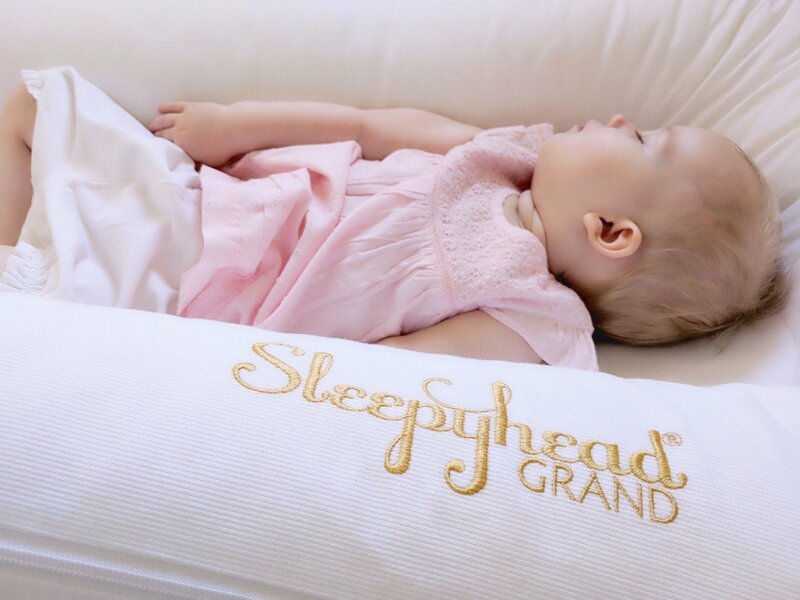 My final thoughts on the Grand Sleepyhead are that with patience and gentle encouragement, it can be a wonderful accessory to help make your baby feel safe and secure. In that sense, it may aid sleep once your baby reaches the point of being ready to sleep, but I won’t pretend it possesses magical properties. So, Can the Excellent Sleepyhead Reviews Be Believed?! For us, it’s definitely been worth having so far, but alas it’s not been quite the miracle cure I’d wished for – the sad truth is that it doesn’t exist: your baby will sleep when s/he is ready to and no amount of cajoling will speed up that process I’m afraid! Final update: Elfin is now coming up two, and she’s been sleeping in the Grand Sleepyhead all night (at least until she starts her day at 5am) for ages now. She’s become very attached to her bed and I love that it’s portable, so can go with her for the occasional sleepover at nanny’s house. 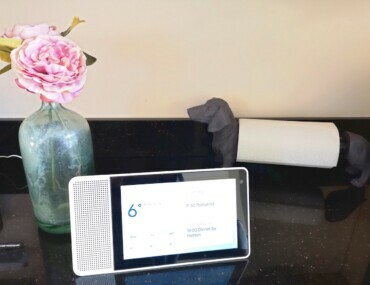 So it turns out that yes, with a little perseverance, the Sleepyhead reviews can be trusted! 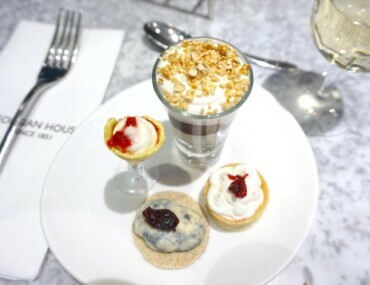 I wish I’d tried the Deluxe but didn’t consider it for some reason. We’re getting on well with the Grande now though, I’m sure it’s helped Elfin feel secure. Although she’s still a pretty awful sleeper! I’m currently pregnant with my second and I’m considering getting one of these! If anything they just seen like a cosy safe place for a snuggle down! Yes exactly! Elfin definitely seems to think so. Good luck!